Is anyone in total disbelief that Easter is this weekend?! I think it’s actually late this year, but for some reason I just cannot believe it is here! As a little girl, we ALWAYS dressed up for Easter church and brunch. I loved getting to wear a pretty spring dress every year, and not much has changed since I became an adult. I am, however, the queen of last minute shopping. 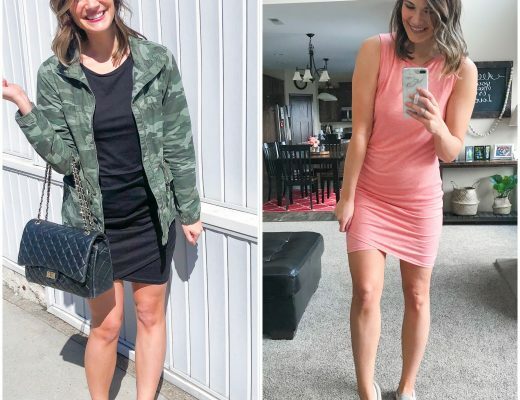 So, I wanted to share some adorable spring dresses you can find on Amazon that get Prime shipping! 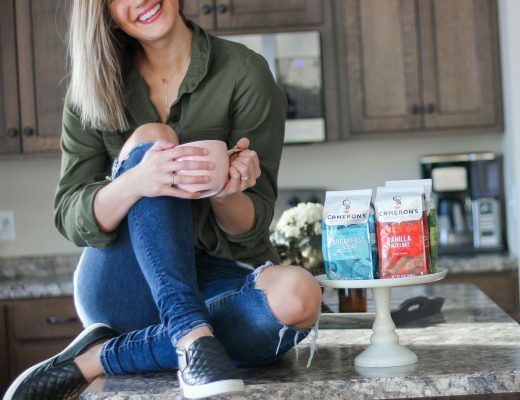 You will have them before the weekend! 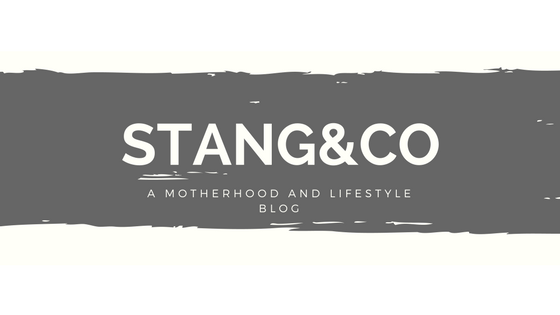 Also, be sure to head over to my Instagram, I am hosting a giveaway for an Amazon gift card with a small group of ladies! 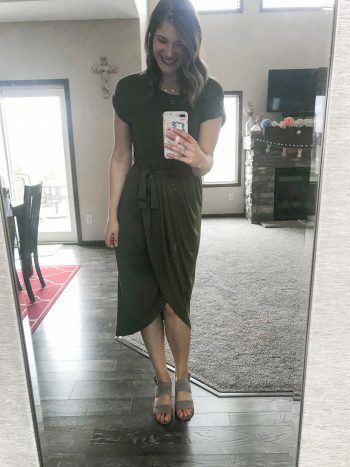 I really love this pretty army green dress. It is a tulip wrap hem, and it hits at the knee in front and just above the ankle in the back. So shorter ladies, it may be closer to floor length in back on you like a true maxi! The waist is elastic beneath the tie, and it could also be styled with a bump, which would be so cute! I could have possibly gone down a size in this one, but the fabric is butter soft, and the fit is incredibly flatter! 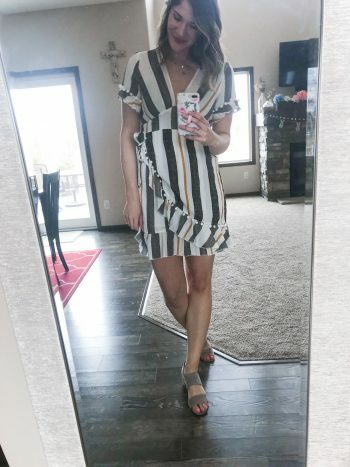 This pretty pom pom dress might be my favorite of them all! It is the most flattering cut, and I love gray and yellow together! Pom poms adorn both the front wrap detail as well as the bottom of both sleeves! This is another one that runs on the shorter end; at 6 feet tall, I think I could wear this one to church, but I would maybe throw a jacket over it to balance things out a bit! Otherwise, I am dreaming of this dress for a fun night out! This is the only dress that is sold in true sizes, and I went with a 10. It doesn’t have stretch, so a 10 was the right call for me! 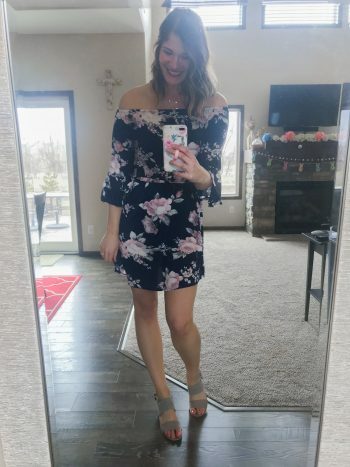 How pretty is this floral off the shoulder dress?! It comes on multiple colors and patterns, too! Tall girls be warned-I would not wear this one to church. While it covers the booty, I would reserve this for a night out with the girls or a date night. If you are on the petite size this dress would work! I just love navy and pink together-it is such a pretty combo! 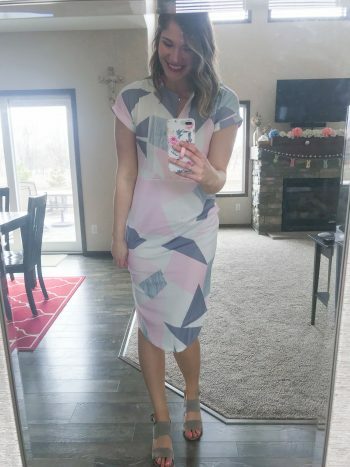 I am IN LOVE with the pattern on this geometic dress. It is nice and long, and I completely forgot to put on the sash, but it does tie at the waist! It has pale pink and grey colors, and a slit at the neck. While it is the perfect spring colors, it comes in other options, and would also be a great dress for the office! 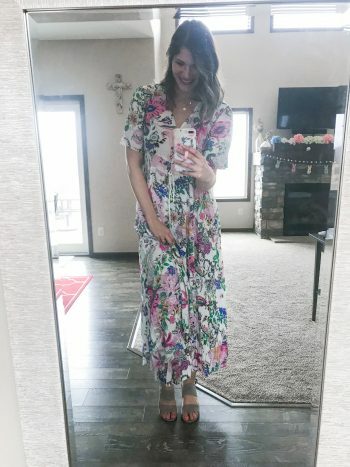 gorgeous floral maxi is SO pretty and old fashioned. It buttons down the entire front, and has the cutest string detail at the gathered elastic waist. I went up a size because this pattern was sold out in mine, and I would definitely say it was big, so go with your true size! I also am dying to style this as a kimono, so be sure to keep your eyes peeled to see this dress a few different ways soon! I like how simple this blue dress is. I would call it a robin’s egg blue in terms of color, and it has a nice wide boat neck, and POKCETS! It hit me just above the knee, so on anyone more normal height or petite I would call it knee length. This spring dress also comes in black and burgundy! It did run a little bit more fitted than the other options; this was the only dress I felt I could have gone up one from my normal size and it still would have fit! Just a heads up if you like things a bit looser! Tell me, which spring dresses from the bunch are your favorite!? I just LOVE all of the fashion that Amazon has started to carry. You can head here to see my recent Amazon dupes post, too! Hope you all have a great rest of your week!